*Price per license. Quantity must be 20 or greater. Today’s IT professionals need an easy-tomanage email security solution that protects against phishing, malware, and ransomware. Along with multi-layer email security, the Barracuda Email Security Service provides email continuity and data loss prevention. Advanced Threat Detection is also included with Barracuda’s Email Security Service, which sandboxes suspicious email attachments and scans them for malware. Link protection redirects suspicious and typosquatted URLs so malware is never inadvertently downloaded by recipients. Because email is the number-one vector for advanced threats, it is very likely that your inboxes contain latent threats—malicious attachments that can infect your network or execute a cryptographic ransomware attack and hold all your files hostage with a single click. 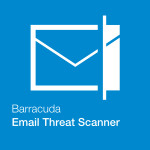 Barracuda Email Threat Scanner is a free, cloud-based service that examines your Office 365 mailboxes using Advanced Threat Detection techniques including a full system emulated sandbox to remote detonate the file to observe intended behavior. 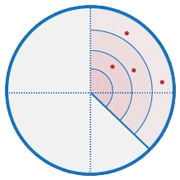 It finds and reports in detail on all advanced threats and at risk employees discovered in your organization’s email. You can set up granular email retention policies to ensure that important emails are retained and archived to Barracuda’s cloud. All of the archived emails can be quickly searched and exported as needed. In fact, our native and mobile apps let you search messages even when email services are unavailable. Barracuda Backup is the world’s most widely used integrated backup appliance, according to IDC’s Purpose-Built Appliance Tracker. 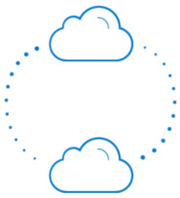 Barracuda Essentials for Office 365 utilizes Barracuda’s award-winning technology and data protection expertise to employee mailboxes in Exchange Online and corporate data hosted in OneDrive for Business for point in time recovery. 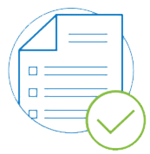 These solutions can be deployed separately or together to cover your on-premises and off-premises data protection needs.